A powerful, haunting, provocative memoir of a Marine in Iraq—and his struggle with Post Traumatic Stress Disorder in a system trying to hide the damage done Marine Sergeant Clint Van Winkle flew to war on Valentine’s Day 2003. His battalion was among the first wave of troops that crossed into Iraq, and his first combat experience was the battle of Nasiriyah, followed by patrols throughout the country, house to house searches, and operations in the dangerous Baghdad slums.But after two tours of duty, certain images would not leave his memory—a fragmented mental movie of shooting a little girl; of scavenging parts from a destroyed, blood-spattered tank; of obliterating several Iraqi men hidden behind an ancient wall; and of mistakenly stepping on a “soft spot,” the remains of a Marine killed in combat. 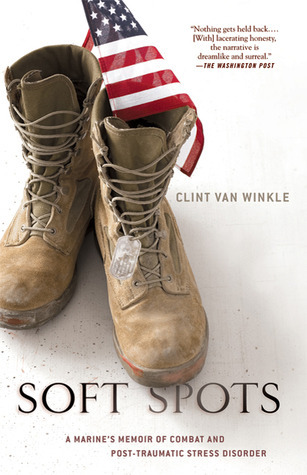 After his return home, Van Winkle sought help at a Veterans Administration facility, and so began a maddening journey through an indifferent system that promises to care for veterans, but in fact abandons many of them.From riveting scenes of combat violence, to the gallows humor of soldiers fighting a war that seems to make no sense, to moments of tenderness in a civilian life ravaged by flashbacks, rage, and doubt, Soft Spots reveals the mind of a soldier like no other recent memoir of the war that has consumed America. James Brady (1940-2014) looks on as President Bill Clinton signs the so-called ‘Brady Bill’ into law into 1993. Brady died at the age of 73 this past August. YOKOSUKA, Japan — Wishing all men were half the man he is, steadfast sources aboard the USS George Washington CVN-73 confirmed today that Operations Specialist 1st Class Jeremy Leer is an unparalleled bastion of masculine gentility. Although this image doesn’t represent my generation, it does represent a common practice my generation participated in. 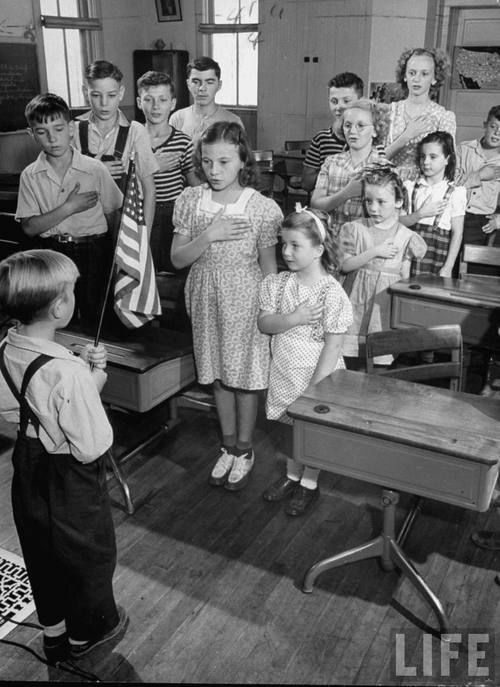 I remember looking forward to the Pledge of Allegiance, which in some cases took place before roll call. I knew what it meant to be an American at a young age; and I was proud of it. We can never forget where and by what means we came from.